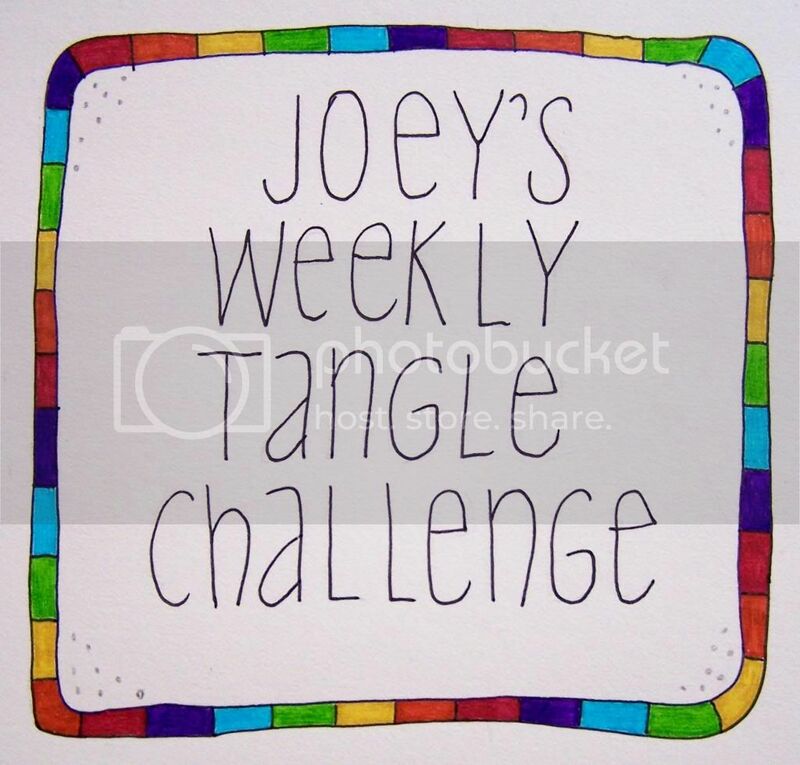 Welcome to week #9 of my tangle challenge! This tangle challenge is for anyone who enjoys using tangles in their art. Whether you are an experienced artist or new to drawing, we're here to learn from each other and have fun with our art! I hope that you will find my challenges fresh, stimulating and rewarding! * Visit the website TanglePatterns.com to find more tangle patterns. - please leave a comment about your art, the tangles you have used, etc. Enjoy the week, I look forward to seeing your art! Dear Joey, I'm also doing again. Thanks for sharing your artwork this week. I am inspired by the tiny dot pattern that you have used inside the queen's crown pattern, similar to the line/dot pattern that you used around the starfish last week. The border is a nice tangle too, reminds me of wheat! Very nice! I love the patterns you chose Caroona! The Copada is my favourite as it really goes well with the royal theme and so nicely shaded! Colette, now you have me wanting to try white ink on coloured paper! I almost didn't see the queen's crown as I was too busy admiring the other patterns. Very nicely done! Dorothy I love so many things about your piece! The way that you have chosen patterns and tangles that all tie so nicely into a royal theme is fantastic. Using colour really makes each detail stand out, it could be a page from a fairy tale. Very nice thanks for sharing it here! I must try a monotangle! I think for me they would be quite a challenge. And I really like how you have incorporated the letter as well. Your artwork is so varied for each challenge you participate in, it's lovely to browse through your blog! What a great combination of tangles. You have a gift of knowing which ones will flow together nicely. I see you did two different versions of Queen's crown as well as making it into "sploches". Thanks so much for inspiring us this week! I've been making myself draw things that don't at first really appeal to me and have also been pleasantly surprised several times when I do like it in the end! I feel doing this challenges my work so that I don't get stuck in ruts.